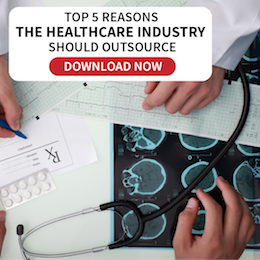 Healthcare providers face the challenge of providing the highest quality healthcare to their patients while dealing with the humdrum tasks that come with managing a healthcare business. This challenge is where Infinit Healthcare comes in—helping providers focus on fast, efficient healthcare while we take care of management with fast, efficient healthcare management solutions. Medical coding can be a challenging task, requiring the specialized knowledge and skills of certified coders to ensure your claims are coded correctly. For healthcare providers, it’s best to partner with a medical coding specialist with both the expertise and experience to handle your coding needs. Infinit Healthcare provides medical coding services that include ICD-9-CM Coding, CPT and HCPCS Level II Coding that assist in keeping patient data organized, accurate, complete, and secured. These are all executed by our team of medical coding experts, each possessing a firm grasp of medical terminology. Infinit Healthcare knows the importance of an efficient billing process to keep your healthcare practice afloat. Our medical billing outsourcing experts ensure maximum accuracy–from data entry to claims submission–thus insuring that payments come in as fast as possible. By partnering with Infinit Healthcare, we can help you weather through the new changes in industry protocols and regulations as well as create a more accurate billing services. We implement techniques that diminish denials and help you in solving denial problems beforehand instead of addressing them when they happen. Infinit Healthcare understands that the codes of ethics and statutes bounding medical practice call for a strict compliance among medical professionals. Because of medical records being used in insurance claims, medical research, and lawsuits, documentation in every stage of treatment isn’t just mandatory, it also needs to be done in a meticulous manner. Infinit Healthcare’s outsourced medical transcription service offers an efficient and cost-effective way to produce such documents. Medical transcription outsourcing is useful for companies that are interested in limiting operational costs without compromising the quality of service. The financial health of a healthcare practice is another integral aspect that healthcare providers take in when managing their business. 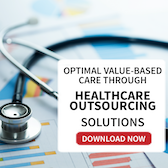 Whether for start-ups or veteran specialists, solo or multi-doctor providers, back office processes like finance and accounting require significant investment in human resources and a specialized understanding of the healthcare industry. 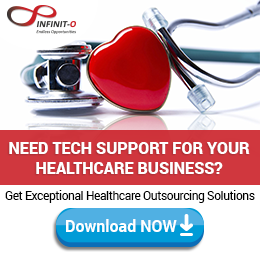 By partnering with Infinit Healthcare for your healthcare management solutions needs, you get all the benefits of regularly updated, accurate books and overall better management of your business’s finances without sacrificing any focus on caring for your patients. The patients are the lifeblood of any healthcare practice. At Infinit Healthcare, we uphold the same trust and faith that your patients have given you. We translate this to giving the utmost care and understanding not just to you, but to your patients as well. Our suite of healthcare management solutions directed towards patients help you enhance your relationship with them, prioritizing those with more critical situations, and focusing on giving the best healthcare possible. Our patient support team is readily available 24/7–through voice, email, or live chat–ready to turn an account complaint or an inquiry into a well-handled experience for your patients and an opportunity to create strong loyalty towards your company. Advancements in technology have made it easier to work with each other despite distance. Infinit Healthcare’s robust technological infrastructure has made this even easier. Our state-of-the-art facilities are maintained regularly and meticulously, ensuring accuracy with no disruptions. Infinit Healthcare’s healthcare management solutions team works with you efficiently, acting like a seamless extension of your organization. Apart from this, we keep your trust by keeping you and your patients’ information safe and secure, in line with our facilities having restricted access and backed by ISO 27001:2005 Information Security Management Systems certification. With Infinit Healthcare’s healthcare management solutions, you will be equipped to assess the health of your business better.